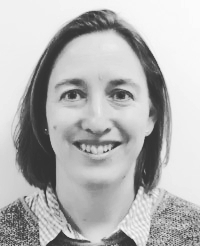 Liz Soilleux is an honorary consultant in haematopathology, molecular pathology and autopsy pathology, a university lecturer in the Department of Pathology (https://www.path.cam.ac.uk/directory/elizabeth-soilleux) and the preclinical director of studies for medicine at Churchill College, Cambridge University (https://www.chu.cam.ac.uk/people/fellows/). She returned to Cambridge in May 2017, after over 13 years in Oxford, during which time, she undertook specialist training in haematopathology and, for a period, ran the Oxford regional haematopathology diagnostic service. She was also a major contributor to the development of molecular pathology diagnostic services in Oxford. Her research interests lie in immunology and haematology, particularly the analysis of T-cells in diagnostics, related both to lymphoma and to immunological/ inflammatory conditions. She is also interested in the application of novel mathematical algorithms to various aspects of diagnosis, including digital image analysis and the analysis of large datasets, with the aim of improving objectivity of diagnosis and efficiency of workflow, perhaps with future automation of aspects of diagnostic histopathology. She teaches parts of the Part 1b course (year 2), as well as components of the clinical medical course (years 4 – 6). At a national level, she chaired the Education Subcommittee of the Pathological Society of Great Britain and Ireland (2014 – 2017) and has been involved in organising a number of successful ‘PathSoc’ conferences. She remains the lead for the UK and Irish national pathology ambassador scheme, which she set up in 2017, to improve recruitment into pathology and to encourage academic endeavour among trainee pathologists. She is the UK pathologist on the national Myeloproliferative Neoplasms Steering Group. Liz was on the editorial board of Diagnostic Histopathology between 2009 and 2012. She is also a regular examiner for the FRCPath examinations and acts as external examiner for Experimental Pathology at Barts and The London Medical School, Queen Mary, University of London. She is a faculty member of the Nottingham Molecular Pathology course and the PathSoc Winter School Clinical Pathology course.